Riding toys are about more than just fun – they encourage physical activity and help kids to develop coordination, balance and gross motor skills. 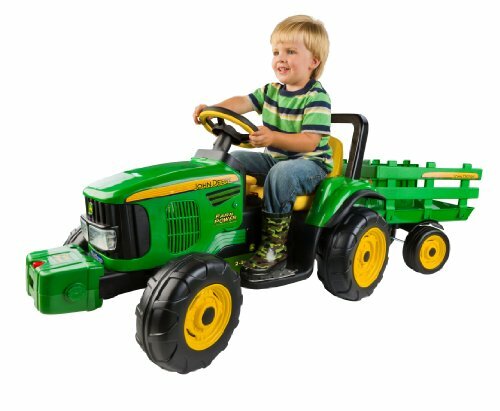 There are also lots of riding toys on the market that are designed for toddlers to learn even more while they’re playing! They might include songs or lights that teach numbers, color, letters and so many more early learning ideas. This is important because kinetic learning (learning while moving) can help to make connections that don’t happen when children are sitting still. One of the best parts of riding toys is that they can often be grown with your child! Kids, especially toddlers, just grow so quickly that it’s great to have some toys that don’t get left in the dust when they start to grow up a bit. Plus most of these toys are kid tough and will make it through siblings. There are really three kinds of riding toys for toddlers: battery powered riding toys, parent-powered and kid powered. When it comes to magical toys, just about nothing beats the fun of a real train that a little one can ride. 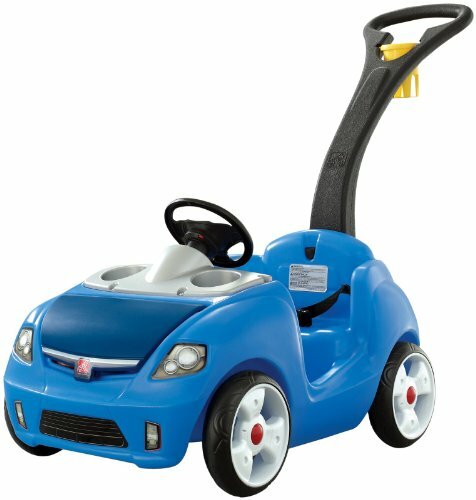 What’s great about battery powered riding toys is that they really up to the fun and imagination factor for kids. These riding toys allow kids to feel like the grown-ups that they follow around so much. Plus these riding toys will encourage your child to have that huge imagination! Toddlers might like to think that they’re giant, but in reality, they are just little guys! Sometimes (well a lot of times) they really do need a push to help them out. That quite often means parent-powered riding toys. What’s great about these toys is control. You really are in control of where your child goes and how fast they go. There’s very little left up to chance when you’re pushing, which is a great thing. Part of the appeal of parent-powered riding toys is that children at this age love it! There’s something super fun for a toddler about mom or dad pushing them along. We saved the best for last – kid powered riding toys! These toys offer an incredibly fun and rich experience. Kids get all of the benefits of imagination and physical activity when they’ve got their own two feet propelling them forward! These toys are classic and many parents will remember playing with some of them when they were small, which only adds to the fun. What we love most about these toys is that they encourage toddler’s independence and self-confidence. Riding all by themselves makes toddlers feel like they can conquer anything, which of course they can! 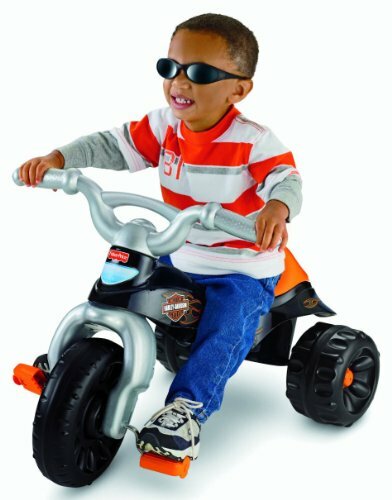 Don’t just keep it to the traditional tricycle when you think of kid powered riding toys – there are SO many more! Here are some great ideas for your little one. Riding toys are a staple of toddlerhood. We love them for so many reasons, no matter what shape they are or who’s making them go!